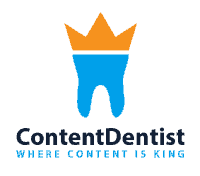 Here in Part III of our overview of the use of videos for your dental website and medical website, I am going to discuss the topic of hosting your videos, and will compare and contrast YouTube and Vimeo, two of the major services that we use for hosting videos. Don’t worry about the actual implementation of what I’m going to discuss, as more likely than not, your web developer will be doing the implementing for you. Instead, focus on the concepts to understand the what and the why; the “how” is less important. Recall that once you have a video for your practice, you need somewhere on the Internet to store it so that people can see the videos. This is the exact same concept as with your website – you have your website but you need somewhere on the Internet to store the website and make it accessible to people. But because video content, unlike your website content, is usually comprised of very large files, you do not want to host your videos directly on your website hosting provider. 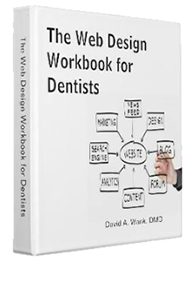 The best approach to getting videos on your practice’s website, is to use a service such as YouTube or Vimeo. The concept is straightforward – you upload a video to YouTube or to VIemo, and then you use the links given on these websites, to “embed” the video on a web page on your website. In this manner, people who search on YouTube and Vimeo may see your video, but when people visit your web page(s) and view the video(s) there, the video content will actually be coming from YouTube or Vimeo. To your website visitor this is a completely transparent process, and the only things that matter are that you are not paying for the bandwidth yourself, and that you have the videos in two (or more) locations to maximize exposure. YouTube is by far the most popular video-sharing site in the world and for this reason alone, you should put your videos on YouTube. One of the disadvantages to this much exposure is that there is likely to be many, many videos on your subject. For example, if you created a video with the staff about “How to Floss”, there are likely thousands of other videos that have this content. Vimeo is another very popular video sharing website. One of the advantages of Vimeo is that Vimeo doesn’t have the same commercial interruptions that YouTube does, and VImeo often allows you to post videos of higher quality. Further, Viemo also has a very sleek player that you can use to embed your videos on your website. One of the major limitations of Vimeo, however, is that at the current time (January, 2013) Vimeo doesn’t allow commercial-interest videos to be posted on their service. I’m not an attorney and I’m not giving legal advice here, but as a practical matter, Vimeo does not seem to be enforcing this rule unless you are a huge corporation who is sending millions of visitors to Vimeo every day (and hence stressing their servers with all of those requests). Vimeo has a Plus plan and a Pro (Business) plan that I will discuss in another article, but for now the Vimeo Plus plan at $60/year is the way to go over the free plan, as the Plus plan allows you to upload higher quality video. Ultimately you want the most exposure you can get for your practice’s videos, but putting your videos on YouTube and Vimeo, and then embedding them on your website is currently the best way to get started. 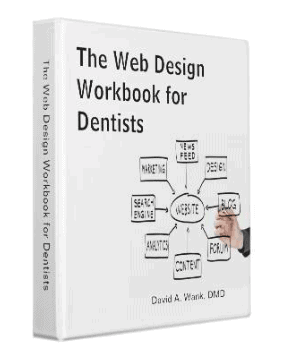 This conclude our three-part introduction to videos on your dental and medical website. In a future post I will thoroughly review SEO for your website videos.